Over the last 2 years, we've been singing our praises for Google Trusted Stores. Trusted Stores offered free purchase protection to consumers shopping the websites of qualified merchants. The service collected customer reviews and fulfillment performance which rewarded high performing merchants with increased conversion rates thanks to increased credibility and buyer confidence. Google Customer Reviews data is accepted by seller ratings, helping you gain seller ratings on Search ads and Google Shopping. 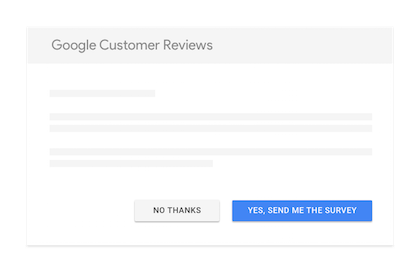 Google Customer Reviews badge helps you let your users know what other customers have said about their experiences on your site. Log in to your Merchant Center account. Click the 3-dot icon dropdown in the upper right corner. From the Merchant Center programs page, navigate to the Google Customer Reviews card. Click Get started to sign up. If you were already in the Google Trusted Stores program, your reviews will be automatically migrated into the new Google Customer Reviews program. Sneak in the most powerful ecommerce channel (or 2) in time for the Q4 holiday shopping season? 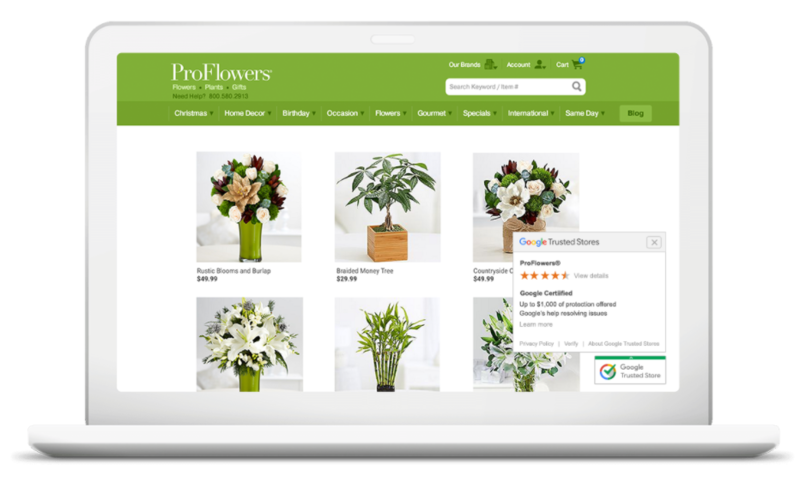 Onboard with Google Shopping Actions, and then quickly gain access to Facebook Marketplace. Take a tour of the new Google Shopping Actions hosted checkout experience featuring Google's Express shopping mall. Sell on Google Express with Zentail. Google Shopping Actions is the important selling channels to add to your mix heading into the 2018 holiday season. Learn more and start onboarding today. 36% of product discovery happens on search. Shoppers are discovering brands and checking out directly on Google. Is your retail brand connected? View four of the most common customer complaints that multichannel ecommerce sellers face—and learn how to prevent them from being said of you. Thousands of 5-star reviews on Amazon are reportedly fake. As a seller you might ask, should I play the game? Here's why you shouldn't & what you can do instead. Amazon Live has officially dropped. This QVC-like livestreaming channel lets shoppers view demonstrations of products and instantly hit purchase. Learn more! Selling on Amazon? Host live demos of your products via Amazon Live. Here's how to get set up and reap the benefits of this new marketing channel.